The Detroit Police Department says officers will face discipline for their language in their profane interaction with a man known as Detroit's Chris Brown. 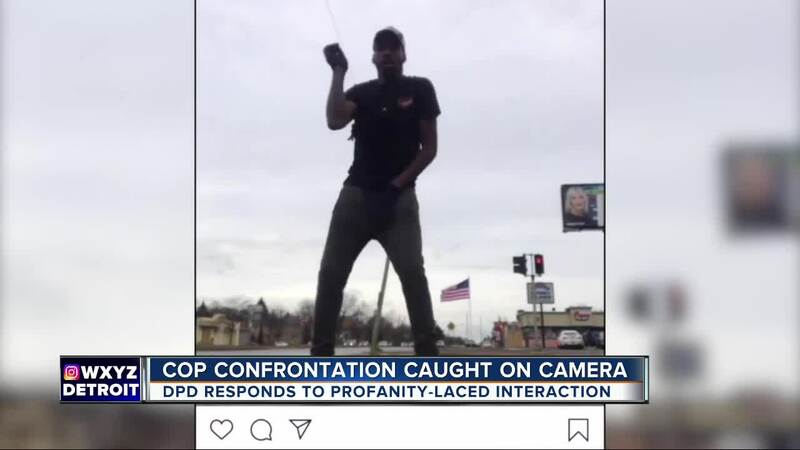 DETROIT (WXYZ) — "I was just singing and being joyful," said Darius Stallworth about the moment two Detroit police officers approached him Monday and began berating him. Stallworth, who likes to dance at intersections on the city's east side, is known to many in the area of Moross and Kelly as "Detroit Chris Brown" because he likes to dance. But Detroit police say on Monday, officers were responding to the latest in a series of recent complaints about Stallworth being loud and disruptive. In just the last two weeks, Detroit police say they have had six contacts with Stallworth because he's allegedly been playing his music too loud, singing obscenities into a microphone and impeding traffic. Deputy Chief Elvin Barren says that while the officers were frustrated with repeatedly telling Stallworth to stop being disruptive, they should not have spoken to him in the unprofessional manner that was captured on video by Stallworth's cell phone. Stallworth says it wasn't until he got home that day that he realized his phone was on and that the confrontation was captured on video. A small crowd of people showed up at the intersection of Moross and Kelly to dance with Stallworth Wednesday. Some members of the community who support the actions of police also came out to support the officers. Sandra Turner-Handy heads up the Ninth Precinct Community Relations Council, and she says Stallworth's actions have been an ongoing nuisance to many people in the area. Turner-Handy says the verbal confrontation with Stallworth only came after officers tried talking to him nicely on other occasions. "When our officers say please, they take that as a weakness," Turner-Handy told 7 Action News. Stallworth says he plans to sue the officers over how he was treated.